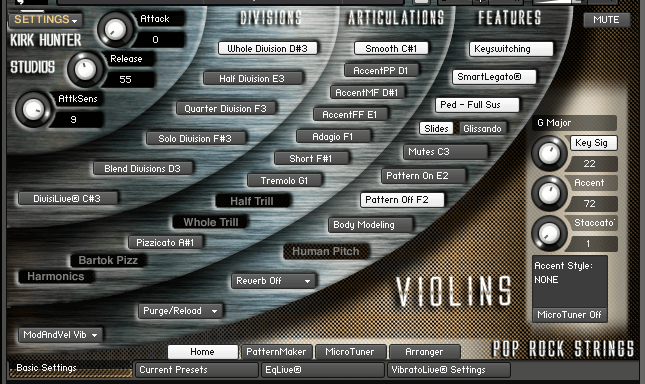 At default, both Velocity and the Mod Wheel are set to control the vibrato amount. To switch to velocity-controlled vibrato only, click the "b/p" indicated by the yellow arrow until it is "on" (orange), and then click the "b/p" indicated by the purple arrow until it is "off" (not orange). You'll notice that now, the yellow arrow's "b/p" is on, and the purple arrow's "b/p" is off. To control the amount of the effect, whether velocity or Mod Wheel, simply move the slider indicated by the orange arrow for Mod Wheel sensitivity, or the slider indicated by the red arrow for velocity sensitivity. 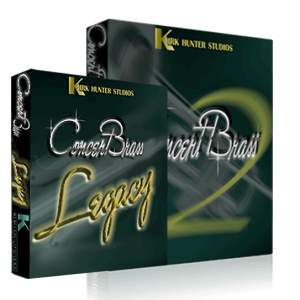 Tip 1 - Use more vibrato at the beginning of each note during moving phrases to obtain a more natural sound. 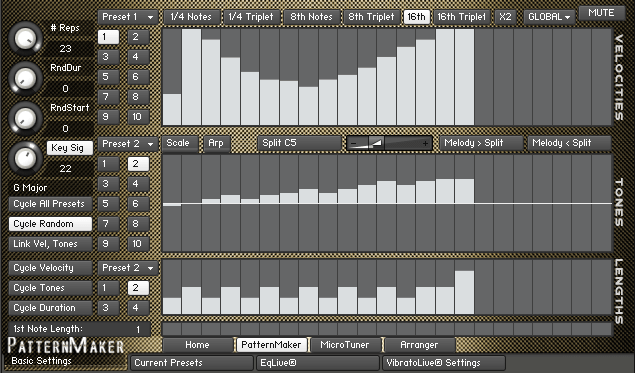 Then reduce the amount of vibrato (if using Mod Wheel vibrato) after the initial attack of each note. 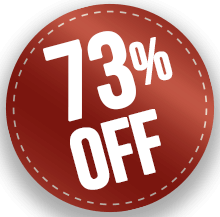 Tip 2 - If you are using Mod Wheel vibrato, we have found that a Mod Wheel setting of 52 sounds good for a general starting point. At default, velocity is set to control the volume. 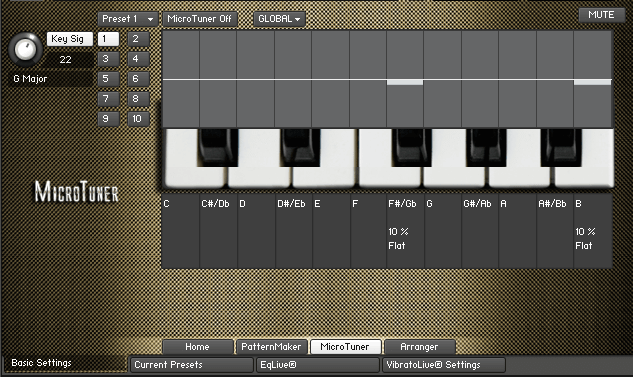 Also, cc11 (expression) is also set to control the volume. 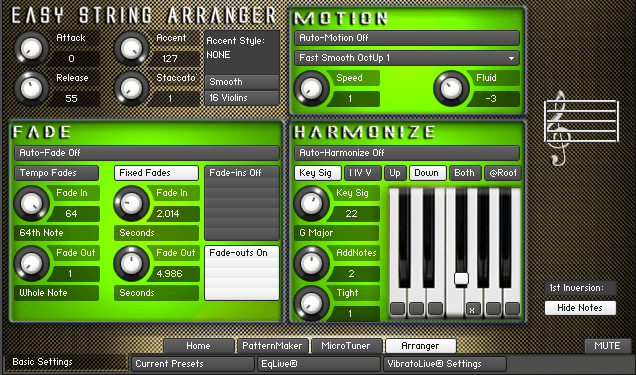 To turn off cc11 volume, click the "b/p" indicated by the green arrow to bypass that modulator. To switch to Mod Wheel volume, click the "b/p" indicated by the yellow arrow, and then click the "b/p" indicated by the purple arrow. You'll notice that now, the yellow arrow's "b/p" is off, and the purple arrow's "b/p" is on. To control the amount of the effect, whether velocity or Mod Wheel, simply move the slider indicated by the orange arrow for Mod Wheel sensitivity, or the slider indicated by the red arrow for velocity sensitivity. The default setting, in case you need to revert, is a velocity volume slider value of 89.2, and a Mod Wheel volume slider value of 98.5. 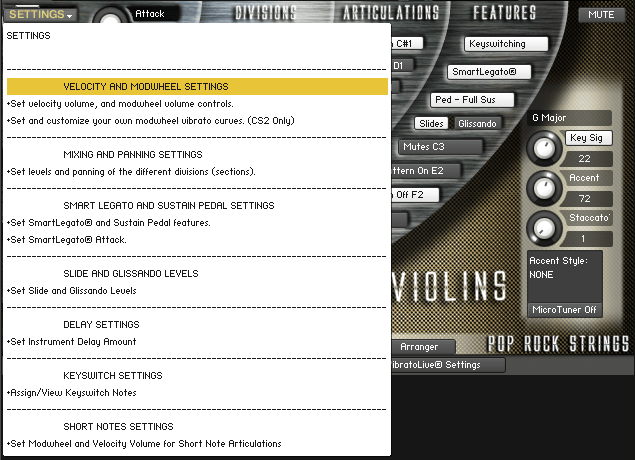 Tip 1 - If you decide to use Mod Wheel volume, you may wish to turn off Mod Wheel vibrato by clicking both of the "b/'p" boxes indicated by the two white arrows above. This will cause the vibrato to be controlled by velocity rather than by the Mod Wheel. Tip 2 - To create a nice Mod Wheel "swell" while keeping velocity volume, click the above yellow arrow's "b/p" so that its modulator is not bypassed. 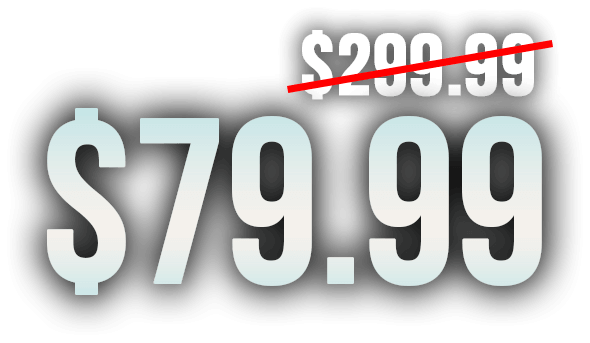 Then, move the orange arrow's slider to a value of about 21. 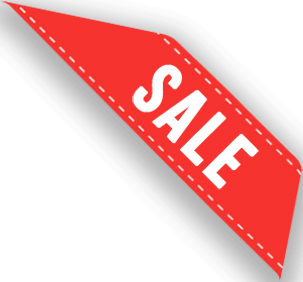 At default, there is a small amount of filter cutoff at very low velocity. This effectively "darkens" the sound when you play very softly. To switch to Mod Wheel filter, click the "b/p" indicated by the yellow arrow, and then click the "b/p" indicated by the purple arrow. You'll notice that now, the yellow arrow's "b/p" is off, and the purple arrow's "b/p" is on. To control the amount of the effect, whether velocity or Mod Wheel, simply move the slider indicated by the orange arrow for Mod Wheel sensitivity, or the slider indicated by the red arrow for velocity sensitivity. To remove the filter cutoff altogether, simply click the "on" button indicated by the blue arrow. That will turn the filter off. To turn it back on again, simply click it again. 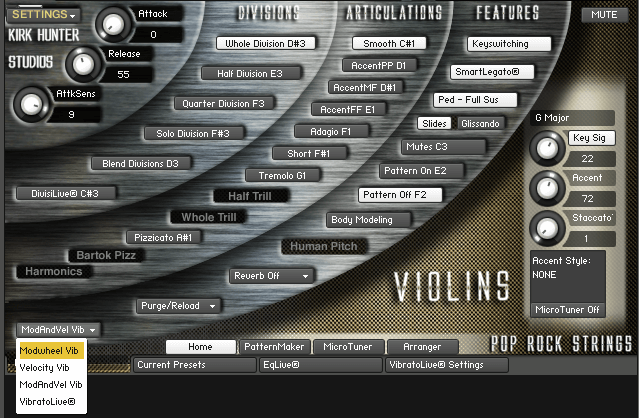 Tip - If you decide to use Mod Wheel filter, you may wish to turn off Mod Wheel vibrato by clicking both of the "b/'p" boxes indicated by the two white arrows above. This will cause the vibrato to be controlled by velocity rather than by the Mod Wheel. 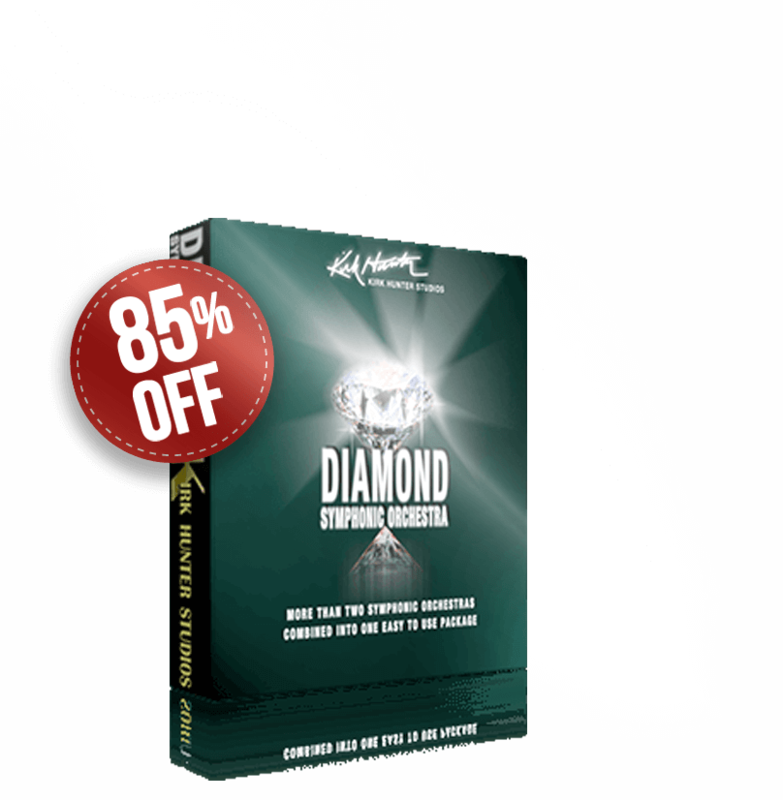 Derived from Concert Strings 2, Pop rock Strings is based on the same core samples already used in numerous hit pop and rock songs, movie and television soundtracks. 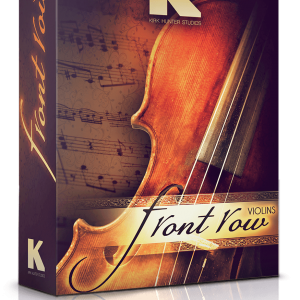 Great sounding, ready-to-go, strings for your pop and rock productions. 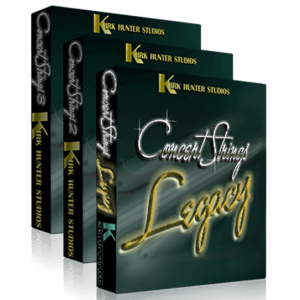 Degree in Classical Arranging not required to create stunning, ultra realistic string arrangements. 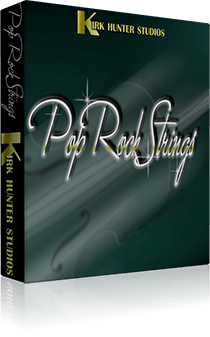 Kirk Hunter Pop/Rock Strings was created specifically for today’s pop and rock productions. 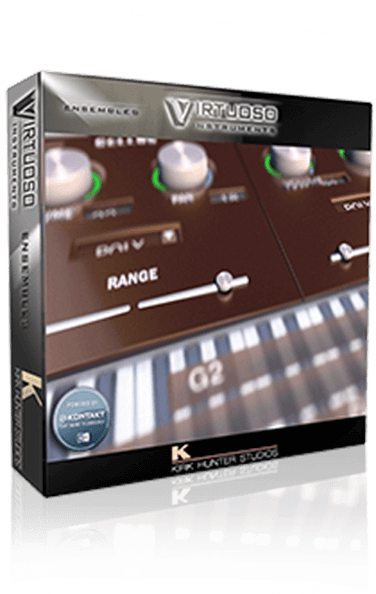 It sounds great out of the box, eliminating the need for you to spend hours tweaking samples for your style of music. 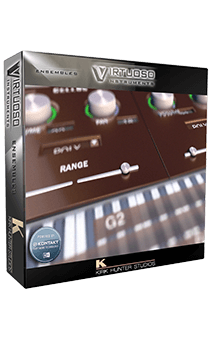 Kontakt 5.3 or newer. 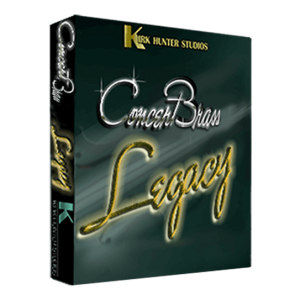 This library can be used in the free "player" version of Kontakt.